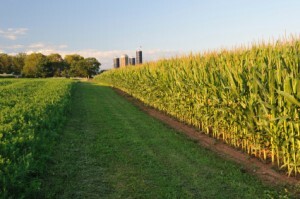 The 2008 Farm Bill featured the creation of the Average Crop Revenue Election (ACRE) program. American Farmland Trust guided its development in conjunction with agricultural economist Dr. Carl Zulauf, who was the chief economic designer and modeler of this innovative risk management tool for farmers. In this guest blog post, Dr. Zulauf reflects on the current ACRE program and sets the tone for the discussion of the government’s role in farm policy and safety net programs in the 2012 Farm Bill. In the wake of the 2008 financial meltdown, the American public is once again debating what role government should play managing economic risk, but this time during severe budget deficits. Throughout our history, Americans have preferred a free market economy and limited government involvement in individual business failures. At the same time, there are some economic risks, which affect so many people at once, and are so far beyond the control of individuals, the government enacts policies to help manage them. Farming, one of the basic sectors underpinning our economy is a highly risky business. Despite all the advances in production practices and the best planning in the world, farmers continue to face risk from factors largely beyond their control. Moreover, some risks can affect large numbers of farmers all at once, something we economists call “systemic risk.” This includes things like widespread weather problems from drought, to significant market problems like the Asian fiscal crisis in the late 1990s. Even individual insurance companies can get overwhelmed with these types of risks, for instance, when multiple hurricanes hit in one season. Unfortunately, American agriculture could be better served by our current government farm programs that do not provide our farmers with adequate assistance against revenue risks. The current farm programs also don’t serve taxpayers. The current half-dozen farm programs have a variety of overlapping objectives that can lead to duplication in payments. Both taxpayers and many farmers increasingly object to programs that send government checks even when farmers don’t experience a loss, yet don’t help in situations when farmers are in genuine need. The farm safety net addresses risk management, instead of providing income support. Government programs address systemic risk, the type of risk beyond the control of the individual farmer and problematic for private insurance companies. Recent progress was made in the 2008 Farm Bill with an experiment for a new type of risk management program. The Average Crop Revenue Election (ACRE) program was designed as an option for producers to address systemic risk for both price and yields. A specific proposal to improve on this concept and to meet the above objectives is to modify ACRE so that it is fully integrated with crop insurance, which addresses risk unique to an individual farm. What would farmers gain? Assistance, when it is needed, against the kind of systemic risk that can cause widespread bankruptcies and dislocation, even among well-managed operations and through no fault on the farmer’s part. What would the public gain? A more transparent, streamlined and focused farm safety net that can be less expensive to taxpayers because it eliminates duplicate coverage and because payments would only be made when there is genuine need. In short, we can reduce our budget deficit and still provide the risk management this critical sector of our economy needs. This commentary piece was originally featured in Iowa Farmer Today. 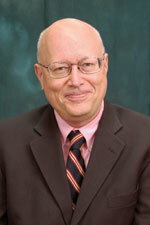 About the Author: Dr. Carl Zulauf is an agricultural economist at The Ohio State University. This entry was posted in farm bill, Federal Policy and tagged ACRE, agriculture economy, farm bill, farm policy on February 1, 2011 by admin.